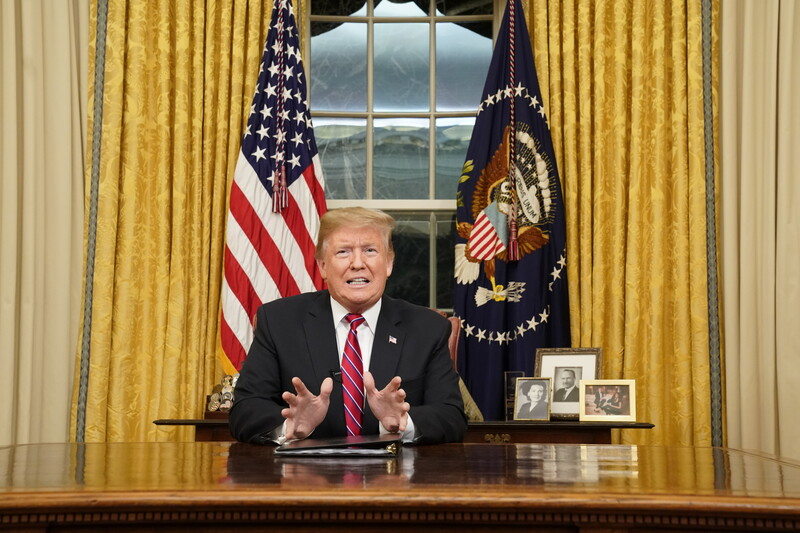 President Donald Trump gave a national address from the Oval Office Tuesday evening making the case for a southern border wall. Trump noted the spiking of violent crime, gang activity, child smuggling, abuse and drug trafficking as a result of the open U.S.-Mexico border. During the speech, Trump reiterated a recent talking point about powerful and wealthy politicians building walls around their houses. The Daily Caller traveled to President Obama’s house to try and find out if he indeed had a “10-foot wall” around his house. The speech marked his first prime-time Oval Office address since taking office.